I’d like to preface this post by saying I am not a blogger. By that I mean that I stink at keeping this thing going! I’m so busy making all the time that it is a “point my phone at it and take a pic” for Instagram if I’m lucky! 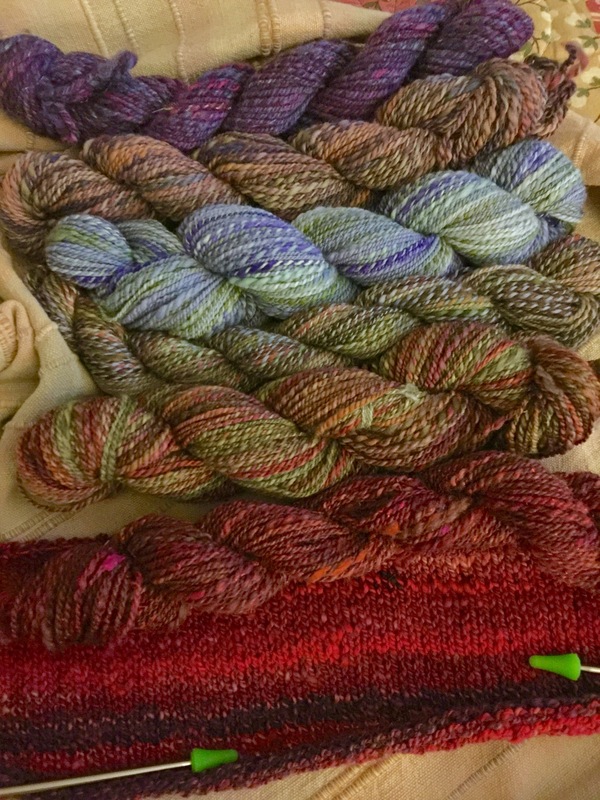 😄 so now that I’ve said that I want to talk YaRN! These are obviously two different beasts all together! 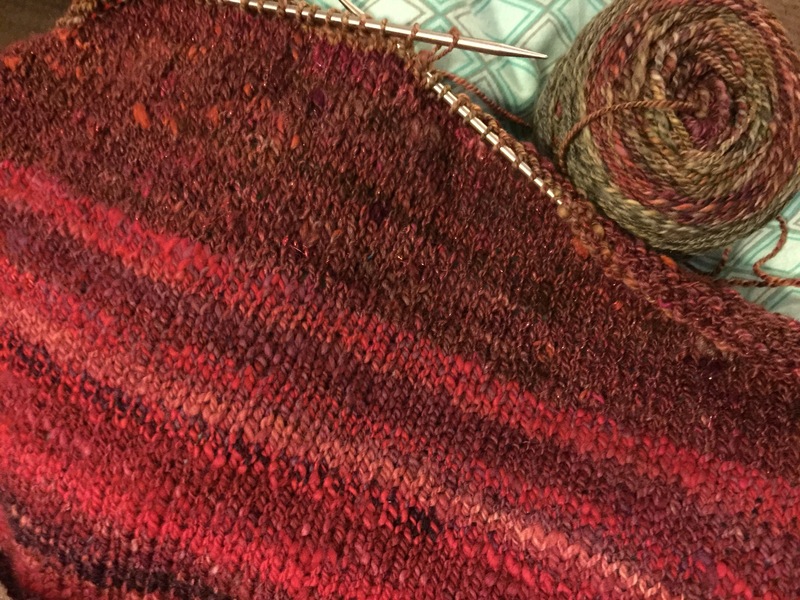 I won’t bore you yet with the technical details of How it is done because I want to talk about knitting with my own handspun! For a very long while I could only crochet. I love crochet, don’t get me wrong, but the resulting fabric isn’t able to showcase a color gradient or the finer details of an art yarn as well. So I had to learn!! It took forever until someone said some magic words and suddenly it all clicked. It is truly amazing when that little thread of information gets woven into your psyche and the Aha moment takes hold. 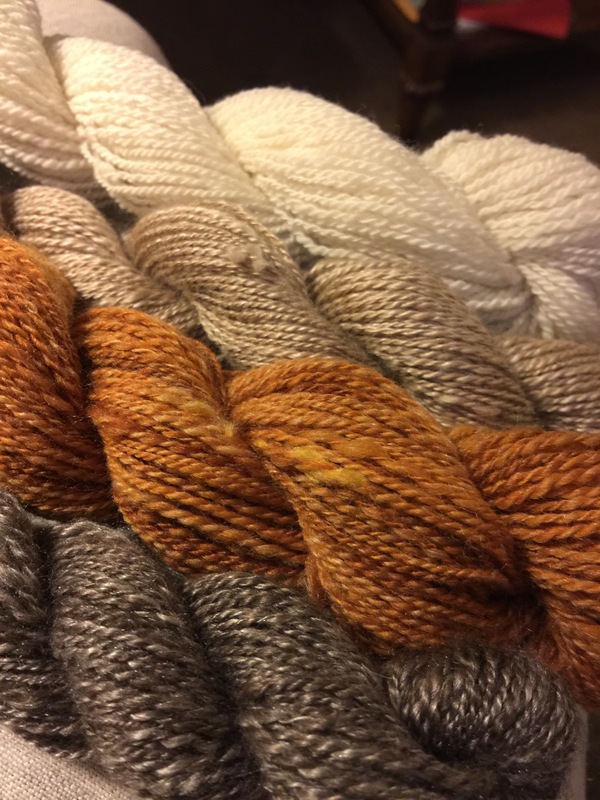 So now I think I’ve got this down as a newbie and I’m finally braving my own handspun wool yarns. 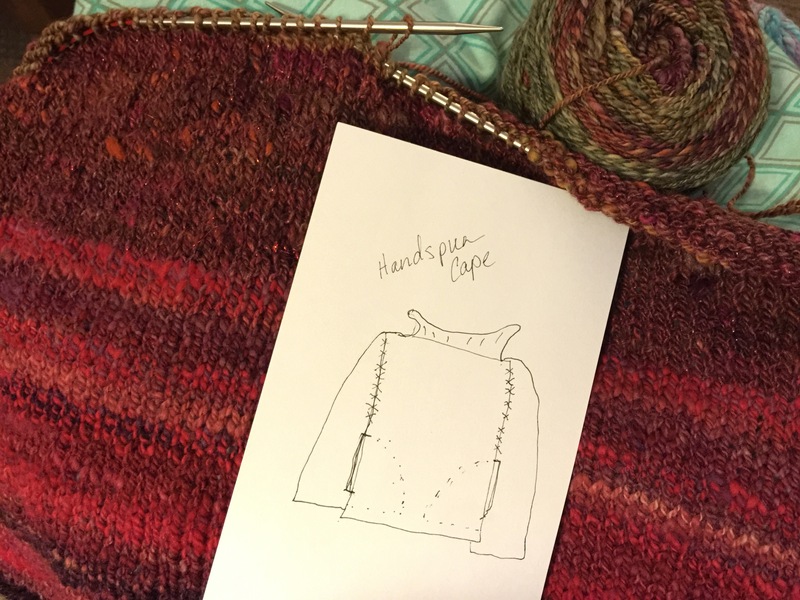 It is a real treat too, check out the beginning of the bell cape I’m designing as I go. Some of the yarns may or may not work as I hope they will together but the only way to find out is to go forward! 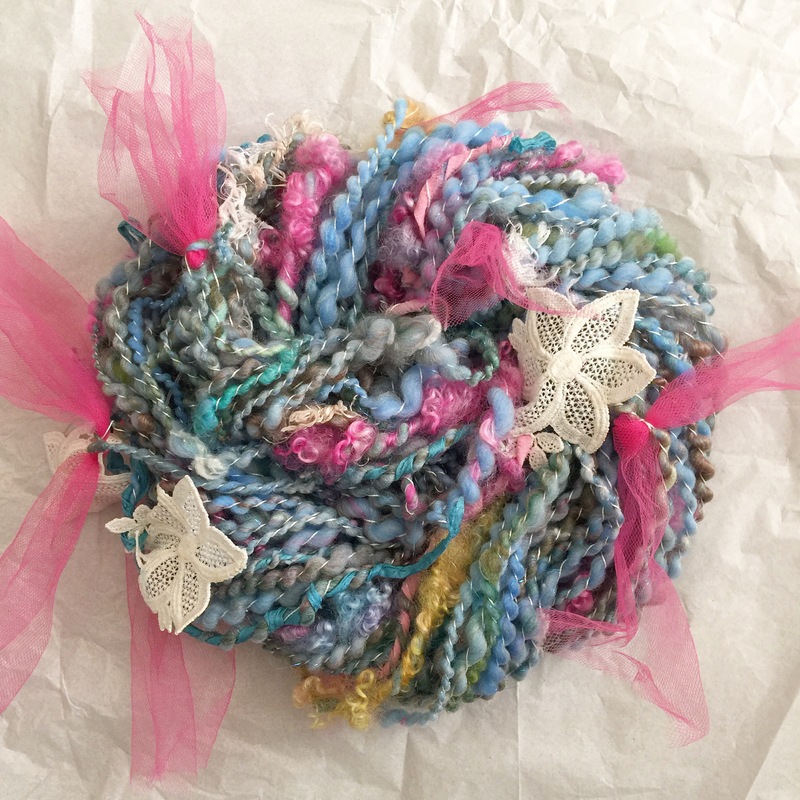 I am a fiber artist and stay at home mom. But that terribly underplays who I really am! I grew up as a rebellious girl and i have matured into a rebellious woman! No rules! Who needs them? I was told once (or maybe twice) when I was young that I was an "up start", or an imp. Well, I agree. So here we are with the namesake of my new blog where I will feature my work, learn, take new paths, and all that stuff! There are so many gorgeous blogs, artists and publications out there that I barely get a chance to create with all that eye candy! View all posts by Jessanne S.
The Sheepish Grin Blog at WordPress.com.